More Free Basketball—This week, several conference games were contested throughout and sent to overtime. 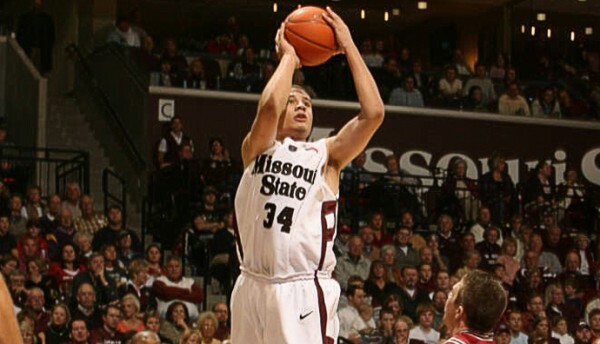 Missouri State lost to Illinois State in overtime last Wednesday to kick the week off. Then, in Des Moines on Saturday, Wichita State and Drake went to triple overtime before the Bulldogs came away as victors. Finally on Sunday, Indiana State and Evansville battled to double overtime before the Sycamores left Evansville with a victory. The league is setup this season in a way that pretty much anyone can beat anyone on any given night. Chaos in the Standings—With Wichita State’s loss, the Shockers fell out of the tie with Creighton in the league race. With the Bluejays holding a one game lead over Wichita, the game in Omaha on February 11th becomes even more important. But after that, the rest of the league is still in flux. A total of two games separate teams three through nine in the standings and no one seems to want to break out of that pack. 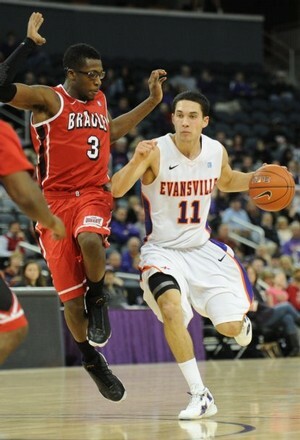 One week, a team like Evansville will go 3-0 and then the next go 0-2. Others, like Missouri State keep splitting their weekly games. Right now, there’s little hope for more than two teams making the NCAA Tournament, barring a run in the MVC Tournament. 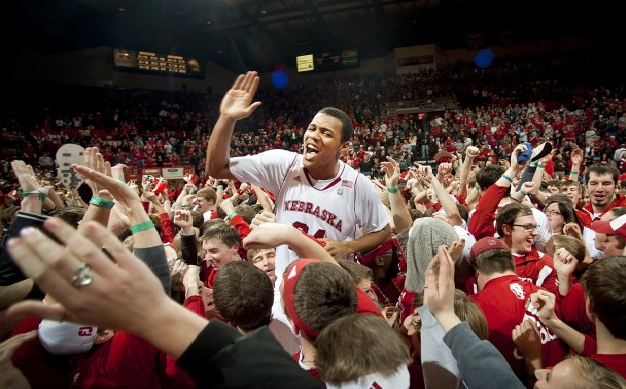 Even something like that could knock Wichita State off if they are sitting on the bubble. Drake invited themselves to the Creighton and Wichita State party while the rest of the league tries to position itself for the MVC Tournament that is about a month away. Creighton (20-2, 10-1) (1): Creighton continues to roll along with a ten-game winning streak entering Wednesday’s action. There has been some debate based on statistics that Wichita State is a better team than Creighton. They may seem similar with schedules, but the Bluejays do own a win over the Shockers in Wichita. The one concern for Creighton however, is the turnovers and sloppy play as of late. The Bluejays had 19 turnovers against Bradley and were able to win, but at some point, those miscues could catch up with them. It is their teamwork that keeps winning games. Danny Spewak is an RTC correspondent. You can find him on Twitter @dspewak. He filed this report following Creighton’s 66-65 victory at Missouri State in Springfield on Wednesday. No need to remind Paul Lusk about the strength of the Missouri Valley Conference this season. During the past five days, his Missouri State team has lost three games by a total of four possessions. “It’s just one tough game after another,” Lusk said. “You have to go play good basketball in this league.” That’s a theme across the Valley in 2011-12, as the conference looks poised to earn multiple bids in the NCAA Tournament for the first time since 2007. Even in a 66-65 loss, the Bears’ game against Creighton at JQH Arena Wednesday night serves as a prime example of the MVC’s rise. Missouri State forced the Bluejays into 11 first-half turnovers, held the nation’s second-leading scorer to just 15 points and kept an animated home crowd involved by playing the #19 team to the final possession. Had Anthony Downing’s jumper at the buzzer fallen, a middle-of-the-pack team would have completed a sweep of the league’s top contender and Wooden Award candidate Doug McDermott. The results from non-conference play support Elgin’s opinion. Thanks to a strong performance against other leagues in November and December, the MVC ranks eighth in conference RPI right now, above the Pac-12, Conference USA and the West Coast Conference. Wichita State, the other main contender for a league title and an at-large bid, embarrassed UNLV by 19 points at home. Illinois State beat Rutgers on a neutral floor, while Drake and Northern Iowa both beat Iowa State. But the best example of the MVC’s parity may be Indiana State, which lost again on Wednesday to fall to 2-6. Yet the defending tourney champs still won at Vanderbilt earlier this season and represented itself well on national television with two victories in the Old Spice Classic during Thanksgiving week. Your Watercooler Moment. Buzzer, Buzzer, Toil and Trouble. There were a number of last-second shots to win games tonight around the country, and while only one of them involved a ranked team losing, that doesn’t make them any less interesting. Hilton Magic. It didn’t carry quite the same weight as Iowa State’s RTF football victory over then-#2 Oklahoma State back in November, but the Cyclones’ basketball comeback resulting in Scott Christopherson’s banked three at the buzzer was no less compelling. The reaction of the Cowboy players after the ball drops through the net tells the story, but more on OSU’s meltdown a little later in this post. For now, just enjoy the dagger from 25 feet. Kilpatrick Courage. After UConn’s Shabazz Napier drilled a long three with 9.5 seconds remaining to tie the game, Cincinnati’s Sean Kilpatrick calmly dribbled up the right side of the court, crossed over right to left to create some space, and sunk an equally long three to give UC the lead (and the ballgame) with 2.5 seconds remaining. A Two-Team Race: With Missouri Valley Conference play starting with a frenzy of surprises, there continue to be some additional shockers, just not at the top of the league. Creighton and Wichita State continue to win and are both tied for the league lead at 6-1. What has probably been more of a surprise is the inconsistent play of the teams below the Bluejays and the Shockers. Missouri State, Northern Iowa, Indiana State and Evansville have all been inconsistent while Drake has gone 3-0 in this most recent stretch of games. McDermott Hits 1,000: Creighton’s Doug McDermott went over 1,000 points on Sunday night in only his 57th game of his career. That is amazing for only being halfway through his sophomore season. Creighton’s all-time leading scorer, Rodney Buford, took 59 games to get to the 1,000 point mark. McDermott’s teammate, Antoine Young, was honored earlier this season after scoring his 1,000th point. The difference in this case is that it took Young more than three full seasons to hit that milestone. McDermott isn’t looking to be slowing down anytime soon. Ahead of the Pac-12: The MVC as a conference sits at #8 in the RPI positioning them ahead of the Pac-12 and just behind the A-10 and the Mountain West. Five teams are in the top 100 of the RPI with Creighton leading the way at #21. Northern Iowa and Wichita State are not far behind at numbers #30 and #31, respectively. The last time the MVC had more than two teams in the top 40 of the RPI was in 2005-06 and five of the league’s teams were in the final RPI rankings. Everyone except for Southern Illinois is under #200. Wichita State's Demetric Williams And The Rest Of The Shockers Are Doing All They Can, But Need An Opportunity To Jump Creighton In The Standings. With some separation happening, there is a battle currently going on in the middle of the conference. Wild Play Underway—As Missouri Valley Conference play started this week, you can pretty much throw everything away you learned in the non-conference season. Creighton, Wichita State and Northern Iowa, who expect to be at the top of the league this season, have already lost home conference games. Only two teams were able to get through the first week unscathed—Missouri State and Evansville. Tis the season to focus on basketball. Evansville and Missouri State Leading The Way—After disappointing non-conference play, both the Purple Aces and the Bears are starting on the right foot in conference play. Evansville came back from behind to get a big road win at Northern Iowa while Missouri State shocked Creighton on their home court to open MVC play. The defending MVC champs got an MVP performance from Kyle Weems as he scored 25 of his career high 31 points in the victory over the Bluejays. That performance earned him some national honors this week. Creighton Still Ranked—Despite the loss against Missouri State at home, the Bluejays turned around and got themselves a big win on the road at the other MVC favorite, Wichita State. With that win, Creighton is still ranked in the ESPN/USA Today Coaches poll at #24, while just falling out of the AP poll. If Creighton eventually falls out of the polls, don’t be surprised if you do not see another MVC team in the top 25 this season with the way conference season has started. However, some early bracketology projections have three MVC teams that could make the NCAA Tournament. Multiple Bid Talk—As the Valley non-conference season comes to a close, there is a lot more talk that the MVC will get more than its one automatic bid this season. Creighton and Wichita State appear to be the strongest in the league right now, but Indiana State and Northern Iowa are close behind. These four teams were talked about before the season started and have delivered in non-conference play. There are some good wins and some bad losses. 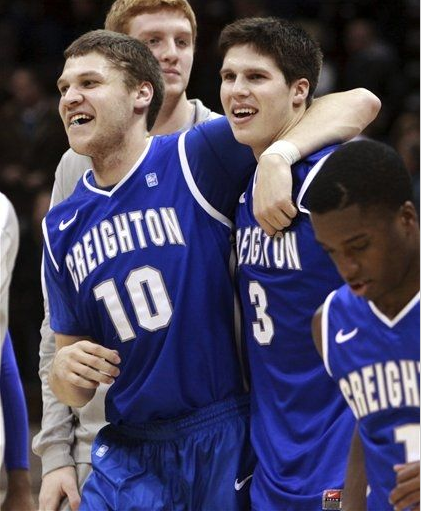 Creighton Dominating—The Bluejays have received a lot of attention behind the performances of Doug McDermott. They capped off their non-conference season by defeating Northwestern to go 3-0 against the Big Ten. Granted, the three teams they beat (Northwestern, Nebraska, and Iowa) may finish at the bottom of the league, but that is still impressive. McDermott is second in the nation in scoring, while Creighton as a team leads the nation in assists. Jankovich Ejected—It is not uncommon for coaches to get a little emotional in a game to the point that they get a technical foul. However, it is more rare for the coach to get a second technical foul in a game to get themselves ejected from the game, much less before halftime. This is exactly what happened to Illinois State head coach Tim Jankovich last week when the Redbirds hosted Arkansas-Little Rock. Jankovich was ejected by referee Gerry Pollard with 2:31 to go in the first half after a disputed foul called on a Redbird. Let’s take a look at each team and how they did in the non-conference side of things. Creighton (10-1)— The Bluejays have probably had the best possible outcome during their non-conference season. They already have more road wins this season than they did all of last season. Doug McDermott has been the star for this team scoring over 20 points in the last 10 games. However, the other bright point of Creighton’s performances have been from Gonzaga transfer Grant Gibbs. Gibbs had 22 assists over the last two games. The connection between McDermott and Gibbs has been a key combination for Creighton this season. As a team they lead the nation in assists. Things are going so well this season, there are even stories about the dancing grandma in the stands. Teams Being Sneaky: While the focus has been on Creighton by the media for most of the season, a couple of other teams are making some noise without a whole lot of fanfare. Northern Iowa has won eight games in a row since the loss at St. Mary’s while Wichita State has a five-game winning streak of their own including wins over UNLV, Tulsa and Utah State. The Bluejays may be slightly favored, but once the MVC gets into conference play, all bets are off. This could be the year the Valley has been waiting for. An RPI Update: The Missouri Valley Conference has four teams in the top 33 of the RPI this week. Northern Iowa leads the way at #4 followed by Creighton (#16), Wichita State (#32), and Indiana State (#33). With these top four teams continuing to play well, heads will continue to turn. Southern Illinois at Rock Bottom: After an 11-day break and a chance to regroup with their 1-3 record, the Salukis came out this week and lost at home against Western Kentucky and on the road at Western Michigan in two more uninspiring outings. This once proud team is hitting rock bottom. The bigger question now is whether Chris Lowery will make it through this season. It is possible for SIU to be 1-7 when they head out to Hawaii for the Diamond Head Classic. 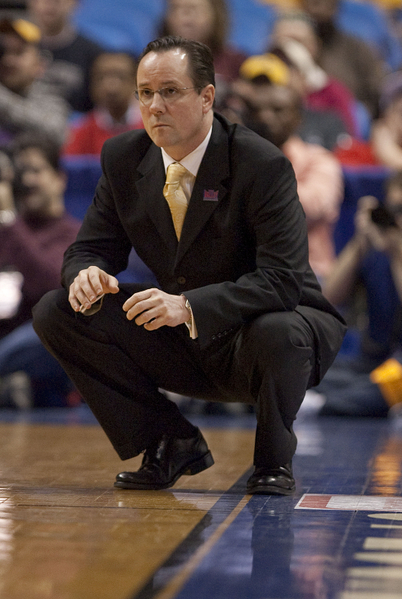 Gregg Marshall And The Shockers Are Scooping Up Quality Wins Left And Right. The MVC/MWC Challenge Runs To A Draw: Over the weekend, the Missouri Valley and Mountain West Conferences played the third annual MVC/MWC Challenge games. With only eight teams left in the current Mountain West, there were only eight games played. Although Boise State played two MVC teams in the past few weeks, only one of those games was a part of the Challenge. 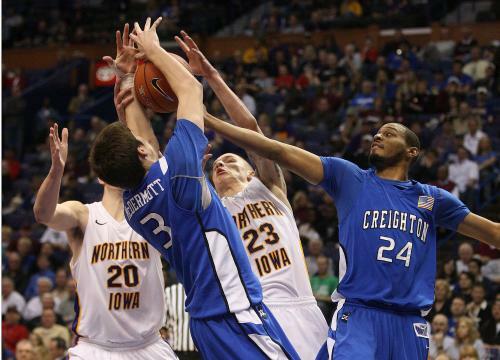 The two biggest games involved Creighton and Wichita State. The Bluejays came back from 17 points down in the first half to escape San Diego State with a victory. 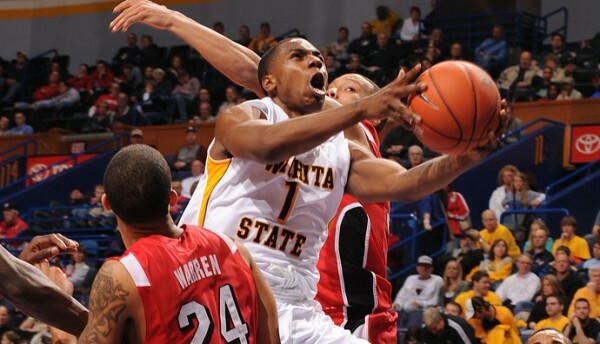 On the other side of the coin, Wichita State destroyed UNLV behind Joe Ragland’s 31 points. The Challenge will finish out in the 2012-13 season. Valley RPI Rising: The MVC has been having some pretty good non-conference success this year. So good, in fact, that the Valley heads into this week with the seventh highest conference RPI. This is quite a difference from sitting at #11 last season at the same time. With Northern Iowa, Creighton, Indiana State, Wichita State and Missouri State all in the top 41 in the RPI, things are looking great for multiple NCAA bids this year. Creighton In The Top Twenty: With several teams ahead of the Bluejays losing, Creighton moved up to #17 in the USA Today/ESPN Coaches poll and they make their debut in the AP poll sitting at #19. In the AP poll, this represents Creighton’s first appearance since November 2006 and their highest ranking since March 2003. Ragland Has His Day: Wichita State’s Joe Ragland created a little history in the big win over UNLV. 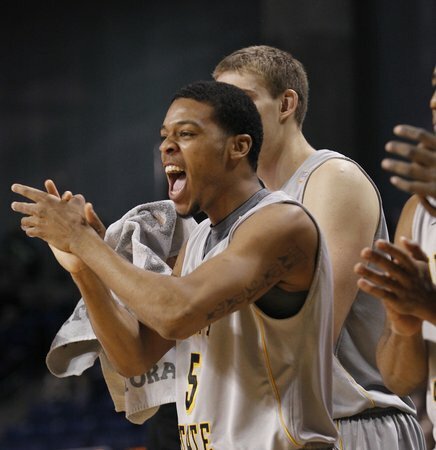 He was the first Shocker since 2006 that scored more than 30 points in a game. He was dead-on from behind the arc, going 8-9 against UNLV. In the two games this week, he was 14-18 from the field and 11-13 from behind the three point line.